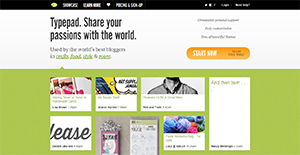 Typepad is a reliable and configurable blog hosting service used by influencers and large organizations. The platform puts users in complete control of their site designs, web pages, and individual posts. With Typepad, both personal and business users can monetize their content. The platform offers several ways to do this, allowing blog owners to choose which method is most suitable for them and their content. Additionally, Typepad lets bloggers understand how well their posts are performing. Integration with Google Analytics enables this and allows writers to come up with new content that is most likely to attract their reader base. Typepad makes it easy for bloggers to compose new posts or add new pages to their site straight from their dashboards. While dashboards usually offer quick overviews of recent activities, it can also be utilized to draft and publish text, image, and video posts swiftly. This lets authors get their thoughts and media to their readers as soon as they think them. For personal and business bloggers, it is critical in reaching a broad audience. That is why Typepad offers them tools that let them improve their SEO ranking on Google. They can begin with meta tags, custom excerpts, and Google Authorship. These features let them make certain that their target readers see their posts on the first page of the search results. Bloggers that like to make podcasts will find that Typepad supports them. This lets them broadcast their audio-only or video podcasts straight from their blogs and instantly add the content to their site. Both business and personal users alike are provided ways to monetize their blogs. One method is by attaching a tip jar integrated with PayPal to their sidebars. This lets readers and supporters leave them a bit of money that is sent directly to their PayPal accounts. Other ways include Amazon affiliate links and ad monetization. With Typepad, users can see how well their individual posts and their blog overall are performing. This lets them find ways to create content that are more likely to attract their readers and garner them new audiences. Typepad supports integrations with social media platforms and other services. Connections with social media channels let blog owners disseminate their posts far and wide, allowing them to reach readers on different platforms. If you are interested in Typepad it could also be sensible to check out other subcategories of Best Blog Software gathered in our database of B2B software reviews. Each company has different wants and needs an application that can be customized for their size, kind of employees and clients, and the particular industry they are in. For these reasons, no platform can offer perfect features out-of-the-box. When you try to find a software product, first be sure what you require it for. Read some Typepad reviews and ask yourself do you want basic functionality or do you want sophisticated functionality? Are there any industry-specific functionalities that you are seeking? Find the answers to these queries to assist your search. There are multiple factors that you need to mull over and these include your finances, specific business wants, your organization size, integration needs etc. Take your time, use a few free trials, and finally select the system that provides all that you want to boost your organization efficiency and productivity. How Much Does Typepad Cost? Businesses that wish to host their blogs on this platform can request pricing information for Typepad Business Class. Free 14-day trials are available for all packages. We realize that when you make a decision to buy Blog Software it’s important not only to see how experts evaluate it in their reviews, but also to find out if the real people and companies that buy it are actually satisfied with the product. That’s why we’ve created our behavior-based Customer Satisfaction Algorithm™ that gathers customer reviews, comments and Typepad reviews across a wide range of social media sites. The data is then presented in an easy to digest form showing how many people had positive and negative experience with Typepad. With that information at hand you should be equipped to make an informed buying decision that you won’t regret. What are Typepad pricing details? What integrations are available for Typepad? For more details regarding integrations, visit the website or contact support. If you need more information about Typepad or you simply have a question let us know what you need and we’ll forward your request directly to the vendor.